In this episode, you will learn all about toxins, where they come from and how to help your body get rid of them more efficiently. Recap: What is a Detox? Cleanse? Why Would I recommend it? Basically, a detox is a process or period of time in which one abstains from or rids the body of toxic or unhealthy substances. You also might know of detoxes happening when people are getting off of addictive substances. 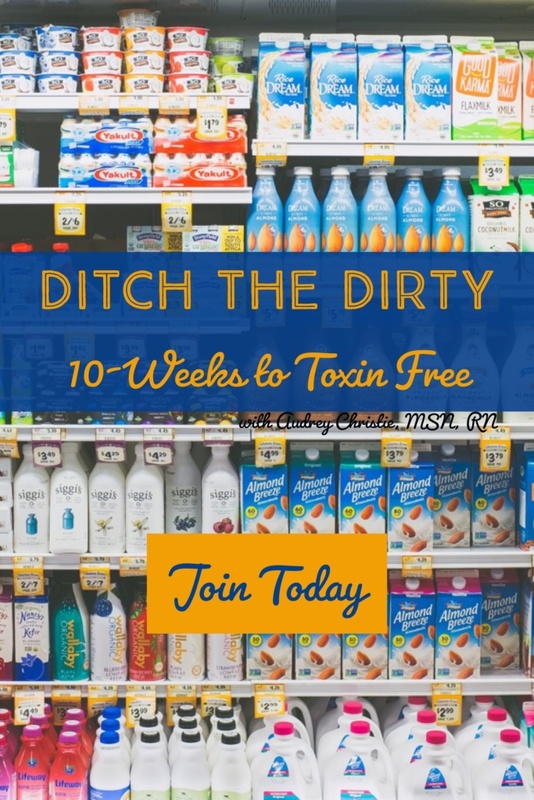 Now clearly it’s not possible in this day and age to abstain from toxins, or really even fully rid your body of toxins, it is possible to give your body a BOOST and help it get rid of toxins all on its own. Detoxification is a normal part of your body’s daily processes. Just like your heart beats, your lungs breathe, and your stomach breaks down food, your body is also working to remove toxins, pollutants, chemicals, and wastes from your body every single day. So really what a detox is when you do it with intention, is a boosting and strengthening routine for your body’s own detoxification pathways and systems. It is a specifically targeted routine or program geared toward cleaning out and toning certain organs in the body, and most often the digestive system and liver. You might be wondering what the difference is between a detox and a cleanse. Detox and cleanse are generally used interchangeably. Cleansing is just another word you might hear that can mean the same thing. It is often used interchangeably in this instance and neither is right or wrong. Both are all the rage right now, so you have surely heard of one or both of them before. Cleansing is defined in the dictionary as making something clean, but when thinking in terms of bodily function, it's the same as a detox. Some people say that a cleanse eliminates junk and strengthens your body’s detoxification process and a detox is super restrictive...but NO that’s not accurate, they are the same thing, the restrictiveness is completely up to the prescriber. For our purposes, I’ll be using the terms interchangeably. The reality is that we live in an increasingly toxic world. Now, we have a choice to bury our heads in the sand and pretend it isn’t happening or we have a choice to pay attention and do what we can to keep ourselves as healthy as possible. We’re exposed to toxins on a daily basis, and our bodies are built to process a certain toxic load each day. I go into pretty in-depth detail about that in Episode 055, Detox 101. It does this by flushing out chemicals and toxic substances through our colon, our lungs, our kidneys, and even our skin. We run into problems when we’re over-exposed to toxins and our bodies can’t keep up. Our livers are responsible for organizing the toxins that enter our system and then distributing them to one the channels of detoxification. In fact, if you notice that you have dull skin or breakouts, you’re likely in need of a detox because the skin is the body’s last-resort, and least efficient, detox organ. When things start coming out through the skin it’s because the body is starting to get desperate. When the liver gets overloaded, its primary job is to keep you safe from the overflow of toxins because those, as you likely know, cause all kinds of damage to our bodies. The way the liver KEEPS you safe, however, is not so awesome: it actually wraps up those toxins in a ball of mucus and stores it in a fat cell. YUCK! The reason so many people have trouble getting rid of fat in certain places is because the fat cells can’t be burned while they are holding a toxin inside. I am frequently seeing, now more than ever it seems, clients with sluggish livers and borderline kidney troubles too. And unfortunately I also see lots of detoxes/cleanses on the market that claim to help these issues and they are overly restrictive, unsafe, OR leave out key components that can cause the toxins to dive deeper and even slow down the metabolism, instead of help the body to flush them out faster and more effectively. A detox or cleanse program helps by letting your liver activate those toxins that are stuck in your belly fat and other fat cells throughout your body. Once those toxins are re-activated they move into the bloodstream to be dumped out of the body. This is great because the toxin’s been removed from your system, AND your body is now able to burn up the fat cell that’s been storing the toxin. It’s a double win. Finally, and this is actually the reason that I think is the most important, and that is that a detox or a cleanse can reset your taste-buds. Have you ever noticed how once you start eating junk it’s really easy to let yourself keep eating junk? It’s like when you have something not so great at breakfast, then at lunch, you think, "well, I’ve already ruined the day so I might as well keep going." If you’ve EVER caught yourself doing something like that, then a simple detox could be a really good idea for you to get back on track and give those taste buds a remembrance of what it's like to eat food that is delicious AND nourishing. It’s something I do on a fairly regular basis – usually seasonally – to help me up my game when it comes to what I’m putting in my body and to help keep my immune system healthy. It’s something I’m extra sure to be aware of as I’m heading into the long holiday season and cold and dark winter when sweet treats, low vitamin d levels, lots of germs, and foods that aren’t on my usual menu are looming everywhere. Where do all of these toxins come from? Some toxins come from food, air, water. They are called exogenous because they are from OUTSIDE of the body, the can be naturally occurring or synthetic. A few examples, well more than a few examples are: Heavy metals, UV radiation, products of combustion (smog, etc. ), oxidation (free radicals), animal and plant mycotoxins (mold and fungus), pesticides, herbicides, industrial chemicals, food toxins, drugs, inhalants, EMF’s (electromagnetic fields), skin products, cleaning products, plastics, etc. We have food that’s loaded with chemicals, trans fats, synthetic sweeteners and high fructose corn syrup, pesticides, herbicides, and all sorts of other contaminants. There’s air pollution, water that isn’t pure and pristine, and our bodies simply can’t keep up. When our bodies get overwhelmed, those toxic chemicals no longer get flushed out and instead reside in our bodily tissue. Our bodies try to protect us from dangerous substances by setting it aside, surrounding it with mucous and fat so that it will not cause an imbalance or trigger an immune response. But what that means is that every single one of us has toxic substances in our fat. Yes, it’s true, there’s no chance that you don’t have some kind of toxins stored in your system no matter how healthy you eat! Even worse, there have been reports of people carrying up to 15 extra pounds of mucous/adipose tissue toxins. The only way to get rid of these hitch-hiking toxins is by embarking on a detox. A detox allows the body to have a break from ingesting new chemicals and toxins, and during that break, is able to mobilize the existing toxic substances and dump them into the bloodstream so they can be expelled. Without this break, our bodies simply cannot get rid of the toxins that are already stored in our fat cells. In fact, as we keep ingesting toxins, we store more and more toxic substances in our fat cells. And then we start to see the residual of these problems in the symptoms that present, letting you know it may be time to help your body detox. Now even if you don’t feel a formal detox is right for you, it is still important to lighten your overall toxin load year around by eating organic as much as possible, eating the rainbow (a variety of plants), to sleep, move, and drink lots of water, reduce stress, meditate, spend time in nature, open your windows, have lots of indoor plants, reduce the usage of toxic cleaners, avoiding non-stick pans, avoiding plastics, working to improve elimination, and lymphatic flow. The key here is nourishing detox. Many detox programs require you to give up a LOT of foods + things at once. Some even require that you give up food altogether and live on just juice for days or weeks. This is NOT safe, NOT nourishing, and is NOT detoxing your body. As I briefly touched on there are 3 phases to detoxification that occurs naturally in your body,, phase 1 oxidation, phase 2 conjugation, and phase 3 elimination. The problem, clinically with most detoxes on the market is that they don’t have the right combination of nutrients to help your body through all 3 phases of detoxification, and if you only hit 1 or 2 of those phases (such as with most juice cleanses) you are making the problem worse as those toxins get trapped between phases and driven deeper into the body, worsening and magnifying troubles that could have been flushed out of the system. 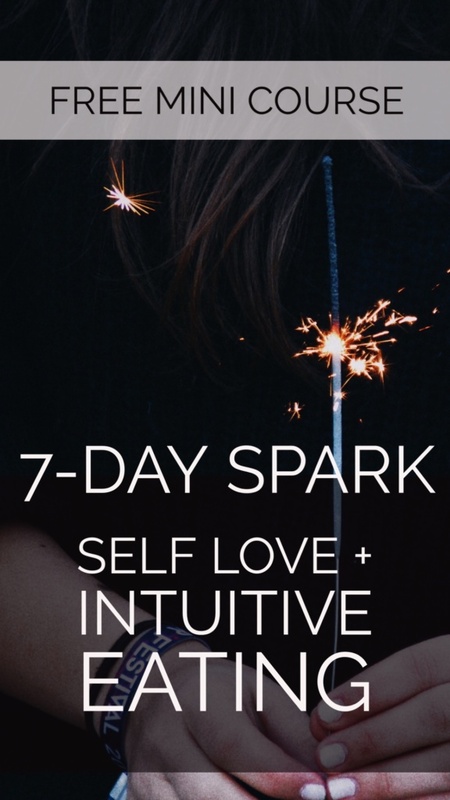 Before we wrap up this episode, I just want to remind you that I have created the 5-day Seasonal Nourishing Detox for Beginners for this specific purpose! I host them 4 times a year, and they are designed to be safe, nourishing, and to not force you to give up things or make huge leaps in your diet (unless you want to). My nourishing detox programs feel more like an adventurous week of new fun, delish recipes that have the superpower of helping you (and your family) detox your body. These are recipes that my clients use again and again and again. Given all of that, it's also important to me to keep your budget in mind, which is why the supplements on the 5-Day detox are completely optional, and ones you can get at Amazon. Yes, they definitely will help you detox on a deeper level, but I’ve created a really cool ‘priorities’ list so you can see which supplements are the most important and which ones are beneficial but not necessary. And of course, 5-Day Detox for Beginners also includes tons of support. One of the biggest mistakes made when detoxing is going it alone. Our support group is a place for accountability, to get support anytime, to ask me questions anytime - this is especially helpful if you feel stuck and I have found it is really crucial for a successful detox. Our next Detox starts in January for the winter detox. I have several people who have jumped on the waitlist already, so I encourage you to do that here. 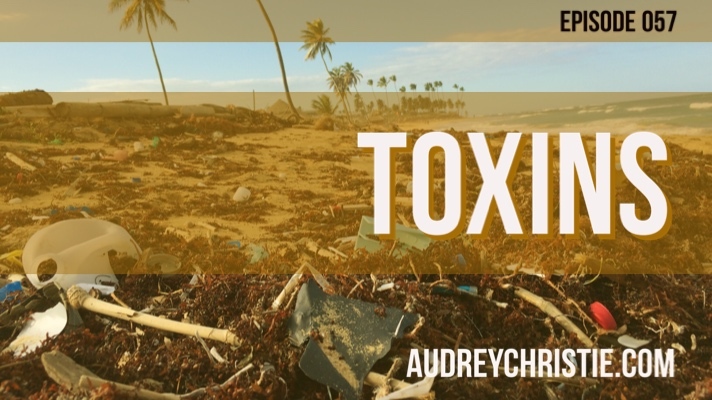 Toxins are everywhere, they are in the food we eat and the air we breathe, even in the water we drink, there really isn't anything you can do to avoid them. It is important to be aware of our toxin load and mitigate that as much as possible. It's equally important to tune into our bodies and learn the signs when its time to detox for ourselves.